Summer is the perfect time for taking road trips with your family. Getting out and about and experiencing new places is a great formula for creating memories your family will cherish for a lifetime. Gas prices can put a hamper on the summer spirit and limit the excursions a family might take. Half of the fun is getting there... until you realize how much you have spent on gasoline. My family is always on the go, we love to explore new areas and discover new places together. We were really excited about a trip we are taking next weekend, until gas jumped over 30 cents per gallon. We will be traveling almost 300 miles round trip, so an extra 30 cents a gallon adds up to quite an extra cost for fuel. 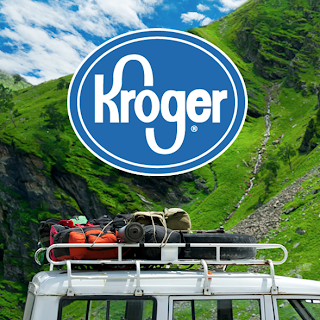 We thought about postponing the trip until I heard about the Kroger Fuel Program with 2x fuel point weekends. With a digital coupon you can earn 2x fuel points on your grocery purchases every Friday, Saturday and Sunday through July 31st. All you have to do is visit the Kroger Summer Fuel webpage and download the coupon. When you go shopping on the weekend your fuel points are automatically calculated at the register. You will earn great discounts ranging from 10 cents to $1 per gallon on gasoline at your Kroger Fuel Center or a participating Shell station. Saving money on gas makes it easier to get out, enjoy the open road, discover new places and make memories with your family this summer. I would love to hear what fun summer trips your family has planned. If you are shopping for groceries, why not visit Kroger and take advantage of this opportunity to save money at the pump? To help Fuel Your Summer I have a fabulous giveaway for you. 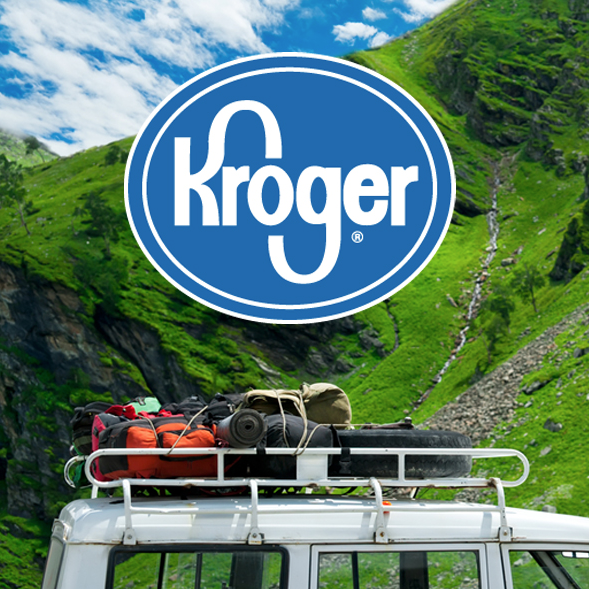 One lucky reader is going to win a $100 Kroger gift card. You can use this gift card to either gas up your car or to fuel your family with yummy foods from your neighborhood Kroger store. This is a sponsored post. I received a gift card in exchange for my post. No other compensation was received. All thoughts and opinions are my own. i would take a road trip down south! I would travel to Myrtle Beach. I would drive back to Virginia to visit family. I'd love to go visit my brother in CA again this year. I would be taking the family to Traverse City for a bit whole family camping. I would travel more locally. I would travel down to the beach in Destin, FL from GA! I would travel to Lancaster, PA for a day of fun. I would travel to myrtle beach, sc! I'd travel to see family in Texas! I would travel to Jungle Jim's food emporium in the Cincinnati area. We try to make a trip there every summer. It's an amazing store! We would take a trip to the mountains! Probably just to visit family. We'd take a trip to east Tennessee and stay in the Smokey Mountains. I would take my daughters to the swimming pool for the rest of summer! I would use it on my road trip to Virginia! I would travel to California or New Mexico to see family! I would go to the lake and have a BBQ. I'd drive up to see my best friend. I would go to Durango Colorado with my husband for a weekend. I would travel to Cedar Point! I would load up on some yummy groceries and then use the rest of the $$ for gas to go to the beach for a weekend with my Hubby :) A real WIN - WIN !! To Chattanooga to the Children's Museum! We'd go to Seattle to visit grandma! I would use it to host a nice family barbecue. I would travel to Lake MI for a family vacation & to see my friend who moved there right before Christmas. Would go up north to my parent's farm! I would use it ofr food/gas for a weekend camping trip that we have been trying to plan for next month. It would be so much fun. Lol. Trip up to Traverse City to go to a secret beach! We are going to take a road trip to Omaha to visit the zoo. I would love to travel to see my parents - my kids don't get to spend time with their grandparents often enough! i'd drive to alaska during the summer!